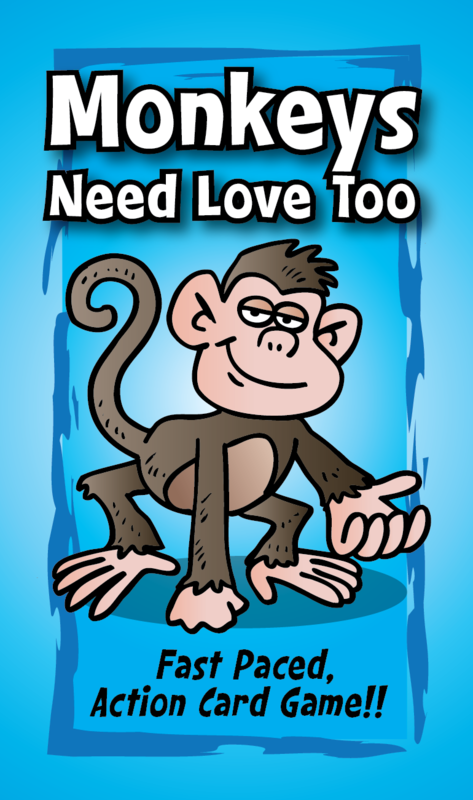 6 double-sided game tokens for use with Monkeys Need Love Too card game. SKU: TGW102. Categories: Card Games, Games. 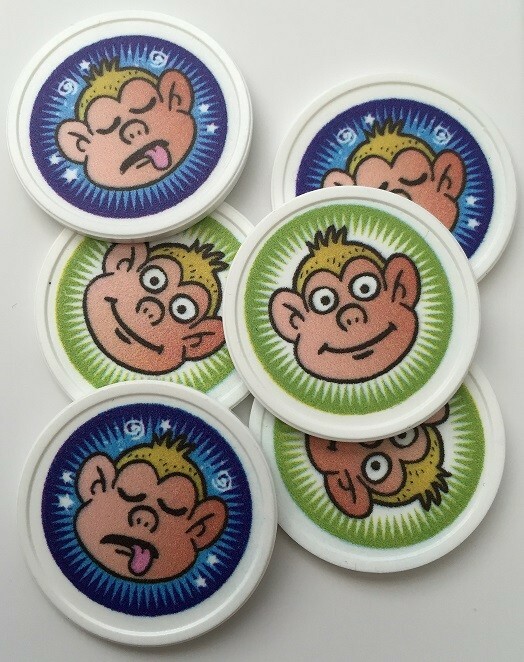 For those who’d like to quickly recognize an unconscious player just by looking at the play area in front of them, these game tokens are just for that. 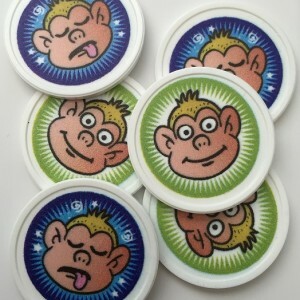 One side shows consciousness (represented by an awake monkey); the other shows unconsciousness (represented by a monkey who’s off in dreamland). 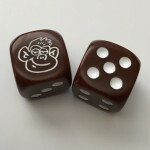 Each order contains 6 double-sided game tokens.